See that menu up there? Well there has been a little bit of a change … Under the ‘Get in Touch’ option there is a newsletter button. Sign up for the new newsletter and I will send you a code for a discount at the store, that you can spend on anything you like! It’s a tedious task updating the website – I think I would rather sand back resin and that is saying something But I have been working on it none the less, it was something that just needed to be done. 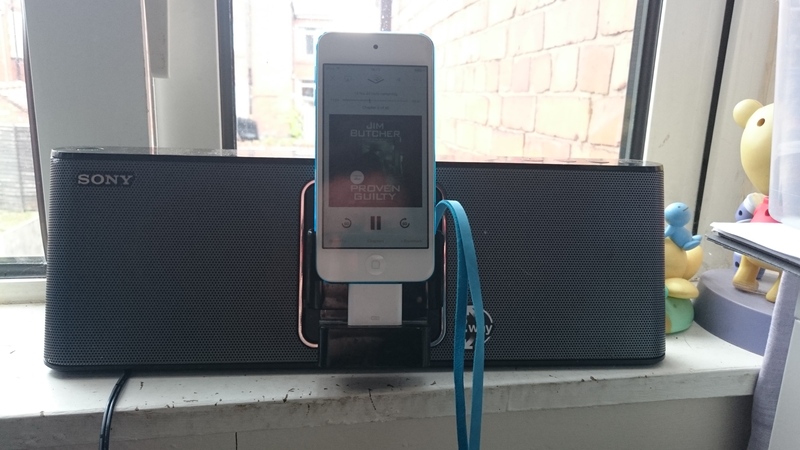 I do have ways of making the time go faster though … for example, whenever I am working I am nearly always listening to an audio book. I love the Dresden Files series and the reader has the best reading voice … remember Buffy the tv show? The character Spike? James Marsters has a divine reading voice! At the moment I’m listening to Proven Guilty. I’ve read all the books already, so know the plot line, but I could listen to them again and again. Harry (the main character) is brilliant and deliciously sarcastic. I also break up the time with some snacks. My fav at the moment is peanut butter on melba toast with a sliced apple – delicious! With a cup of caramel green tea from the lovely Lady Liver Tea, the woman is a genius with tea’s! 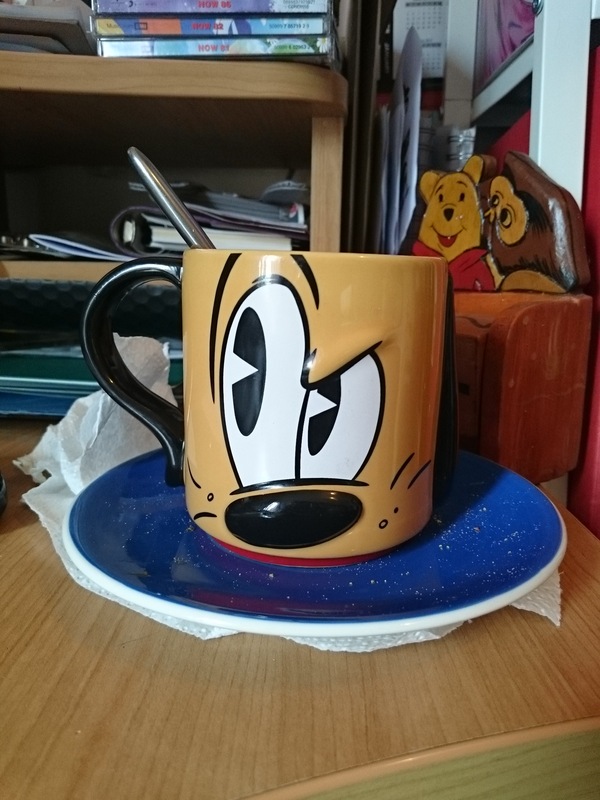 But is has to be served in my favourite mug! I wanted to update my stock with a new range that added a pop of colour – because we all love some colour don’t we? I also wanted the new range to be on the more affordable end of the scale, so I faffed about with some design options and decided that they were just far too complicated. I finally just went back to about as basic as you can get, a simple bar with some colour enamelled on. This surprisingly isn’t as easy as it sounds. The collection is now available on my Etsy store and at markets that I attend. Prices start at £10 and finish at £30 so entirely affordable for a piece of contemporary jewellery. I’ve been quite busy recently designing and making new items and collections both for the store and for markets that I attend. But it’s left me with a bit of a problem … I only have so much space that I can play with so, I have decided to retire my Freedom Collection. Once the current stock is sold there will be no more made unless it’s on special order. It’s kinda sad in a way. I love this collection both for it’s symbolism and for the challenges it presented when I was making it. This was the first collection that I really pushed the boundaries when I was designing and learnt that it was ok to go all mad scientist and experiment with the materials that I was working with. But all good things must come to an end, and it’s better to go out on a high than leave it until all interest has dwindled away. The collection can be found both on Etsy and Folksy with 20% off while stocks last. In other news, I’m back to making this week. I took the last two weeks off from making to concentrate on shop updates and generally getting all the housekeeping up date. Now I’m in a reasonable position I’m going to be putting some of the new designs into practice – I can’t wait! I just thought I would share with you the piece that I am most proud of at the moment. It was a chance situation that caused this piece to come into being … I was between commissions and my normal ranges were up to date but I really had an itch for making something… anything. So I picked up some metal and just started tinkering. First came the cup and saucer … cups and saucer images always have a special place in my heart, they remind me of nana. She always had a cup of tea on her side table and could brew up at a moments notice. From that point on it became a bit of challenge to see which parts I could make next, kind of a self test of my skills. I am most proud of the tea pot. Not only is it a perfect sphere, which I have never done before but it has a tiny 2mm cubic zirconia in the lid, acting as the handle. The design is now available on the Etsy Store as a made to order item. So I’ve had a really busy July. I’m sure friends and family think my *job* is an easy ride. During the week I sit and watch telly and at the weekend I sit behind my stall while people throw money at me and grab my items, whispering ‘my precious’. LMAO, if only *snort*! My normal routine starts at the beginning of the month that the stall is booked, first up – do a stock check. That means going through all my items, checking that what I have on the computer is the same as what items I have in real life. Anything that is missing I make a note of, I also make a note of the condition of the item, ie does it need cleaning, are chains knotted, are there two earrings to every pair etc. From there I can write my to do list. First thing to do is to make sure that any gaps in my stock are filled so I write a ‘make’ list of stock items that I think I will need to make before the stall. I now have to check what raw materials I have and make another list – this time one for ordering from the materials supplier. If I have all the materials in I can get started straight away with the making if not, it’s a roulette/waiting game with the post man. When that job is underway or if I’m lucky enough finished (hopefully at the beginning of the week that the stall is being held), I get to work on cleaning up any pieces that need it, removing finger prints and generally make sure everything is displayed to it’s best advantage. Next up is to check my displays for marks and to clean/iron my table cloth … ugh, I hate ironing – this job is my least fav! About once every 3 – 4 months I also sand and paint my displays to make sure they look fresh and, well, white. White displays look fab, but they get dirty easy too. On the morning of my stall I have to get up super early (a huge thing for me, I hate detest and despise early mornings), make sure that I look normal and presentable and not like an extra from a low budget zombie flic, pack the car up and drive to my destination. This can be anything from 20 mins up the road to an hour and a half. Set up at the venue and wait. No matter how crappy/annoyed/excited/tearful I’m feeling I smile and pretend I’m walking on air! I talk to people who hopefully become customers. Sometimes it’s a bad day and not many people want to buy but if I’m miserable it won’t make them come back again when they are ready to buy. I have good days and bad days but I do it all because I love making and there is only so many things one person can have. I also love talking to people, finding out what their day is like, what they are shopping for etc. It is all hard work but it’s definitely the most fun I will ever get out of a job – apart from the ironing, never the ironing! So the July stalls had an extra element of fun. Mother Nature decided to join the party and see what she could throw at us poor stall holders. Two of the fairs were new to me events, both beautiful venue’s. 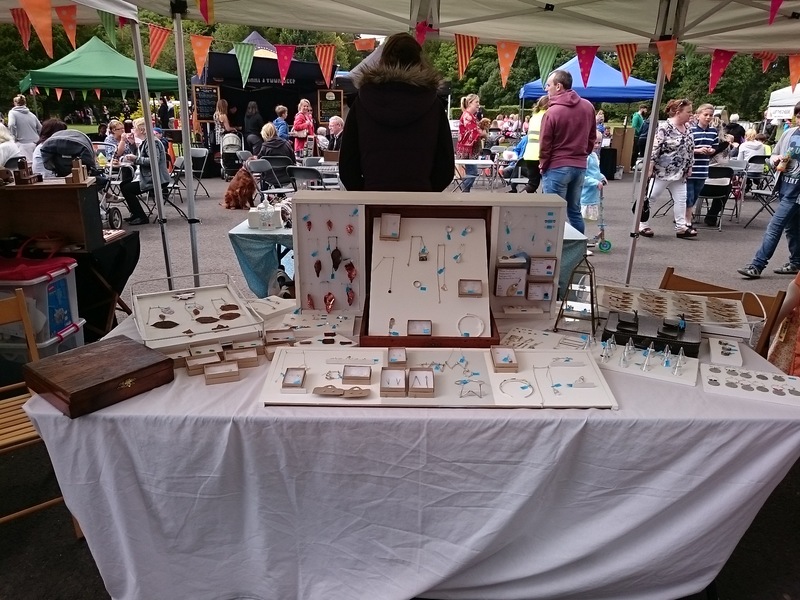 Second fair of the month was a regular event for me, the lovely Heartfelt Art & Craft fair. This really is a lovely, warm and welcoming fair in the village of Halkyn. There are lots of local visitors who really appreciate handmade items. 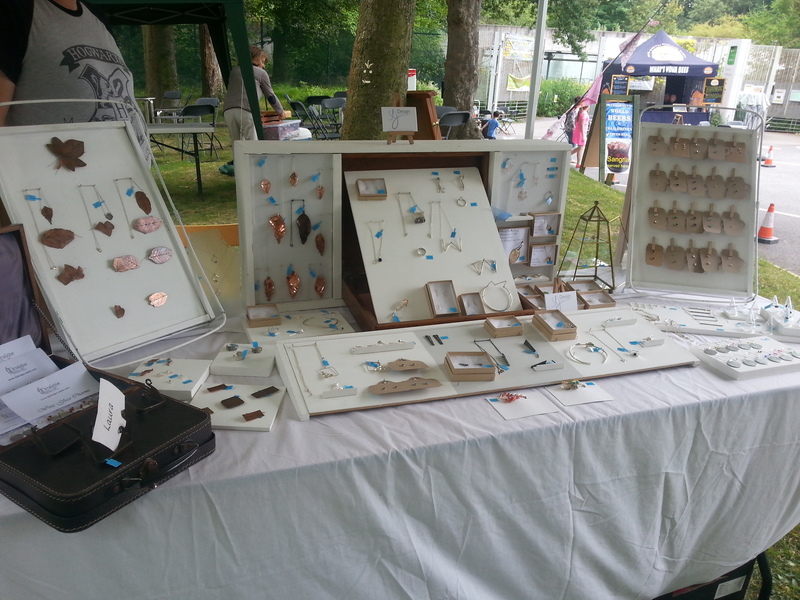 The final fair of the month was Artisans at Croxteth Hall, Liverpool. The heritage building that this fair was held at is absolutely stunning! I would love to visit again, as a visitor just to have a good wander around. There were lots of visitors and lovely stall holders to keep me entertained. I even sampled an iced spicy chai latte from Sarah of Lady Liver Tea’s. This lady is a tea-genius! She can take the flavour of cakes and make them into tea, with no calories! That’s it for me for this month. My next markets aren’t booked until September so I’ll post an update nearer the time! Just a quick post! This month has been really busy with three back to back weekends of markets (post to follow on these). I’ve since been working on the website and stores …. yes you read that right stores. For those who have been following me for a while now you will know that I have been on Folksy for some time and have been reluctant to try out other non UK based platforms, but sadly Folksy isn’t offering me all the options I need right now so I have been running the two stores side by side to see how things go. I have been working on getting the brand spanking new Etsy store up to date for the last couple of weeks, adding new items, making policies are present etc. There is a new collection listed on there, the Rainbow Pieces Collection as well as new items being listed weekly. I’m not abandoning the Folksy store. There will be updates there too, I’m just trying to get Etsy up to speed first. Y’know concentrate on one thing at a time LOL (anyone who knows a ‘creative’ knows that this just isn’t a part of their make up, meaning it’s almost completely impossible). Anyway, off I go, more things on the list …. new post to follow soon! All the information can be found on the links above. All 3 markets are arranged by some top notch organisers and I’m sure are going to be brilliant days! I know that my presence on social media has been lacking recently … although I’ve appeared to disappear I have been busy working. I’ve had several commission pieces that I have been working on and now finished. I’m booked into several markets between July and November so thought I would use this month to do a bit of stock building. 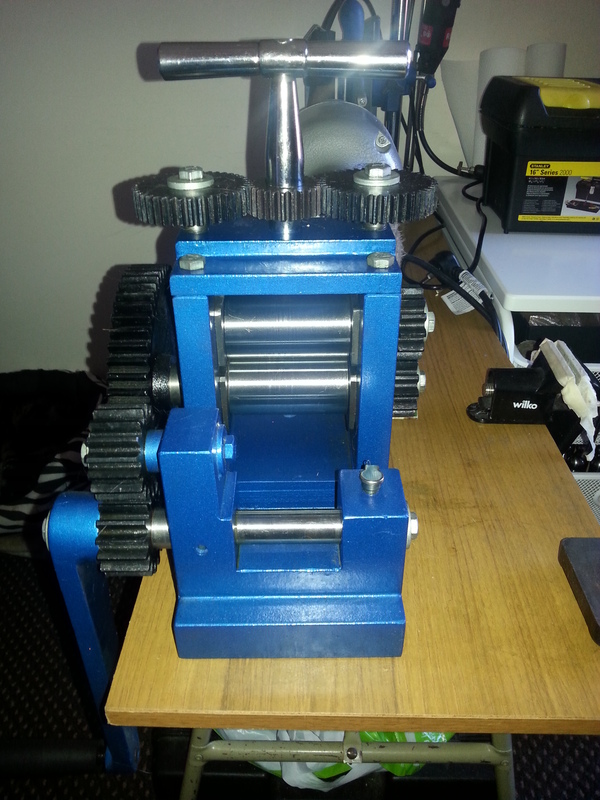 I’ve used some of the money that I have earned to buy new tools for the workshop … one of which is a new rolling mill. The new addition will help me to try out new textures as well as expand my range of leaf printed items. Now onto the title of the post. I was celebrating the finished orders and myself and the other half decided on a trip to Chester Zoo. We had a lovely day wandering around and visiting all the animals … but my favourite moment had to be the most unexpected! We had just been watching the Bush Dogs patrolling their area when we heard a strange sound coming from a nearby bin. Intrigued we moved in for a closer look when a squirrel popped out and he was eating a jam sandwich! He or she was making sure to eat all of the good stuff first, namely the jam before starting in on the bread. I do believe he was having a spot of afternoon tea before going back to play with the relatives lol! 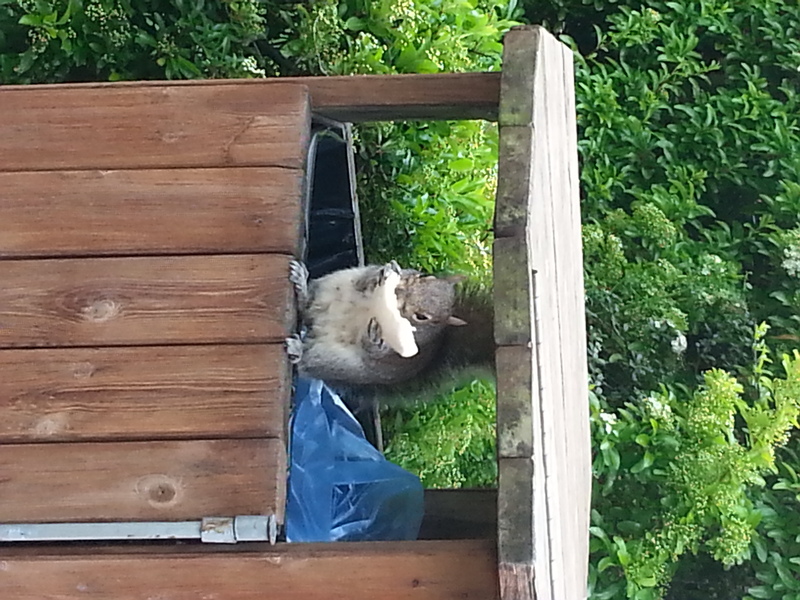 A squirrel eating a jam butty! Well, this week has been an eventful one, full of the firsts of the year! First up was the market, it was the first market of the year for Heartfelt Art & Craft Fairs. The fair was as good as ever with organisation on top form. The atmostphere was lovely as many of the artisans were meeting for the first time of the year. There were plenty of goods on offer to tempt visitors and a good time was had by all. You can find a review of this market here. 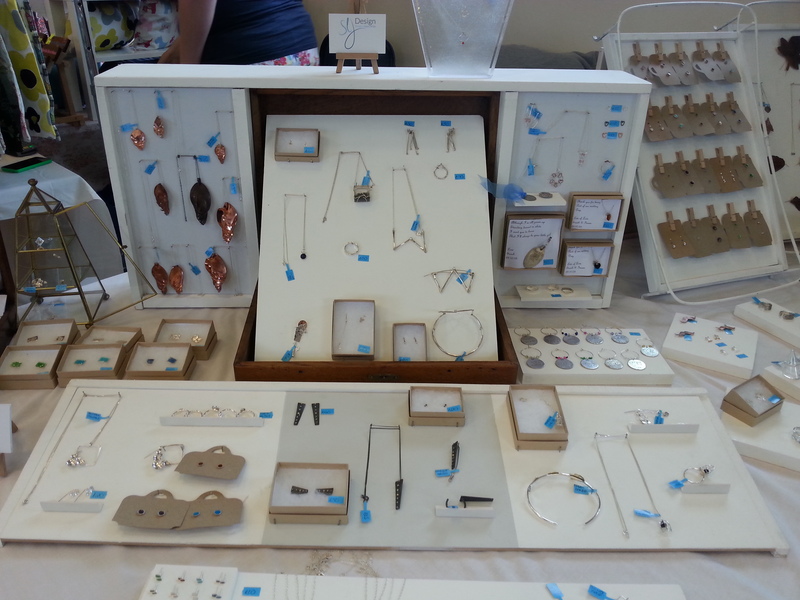 I used a new set up at this event for displaying my jewellery. I always find this to be a work in progress. I seem to be getting to a point where I am somewhere happy with them. These are the modified ones from the stall at Christmas, what do you think? Next up was the first finished collection of the year! The Edwardian Ladies Collection was designed to be displayed at Erddig House, my local National Trust property. We were asked to use the theme of Memories, as this is a central theme to the property at the moment. I chose to use the ‘Memory’ of an Edwardian Ladies exhibition. There was a dress on display that had a really attractive lace trim. The trim really inspired this collection. There are lots of techniques I have used in this collection that I have never used before, including cold forging, tube stone setting and riveting to create a hinge. This collection is also my first real kinetic collection of jewellery, meaning that the rivet joints are hinge joints and that the pieces can be posed as the wearer wishes. The collection is now installed in Erddig.I’m really happy with this collection but I’m so glad that it has been delivered safe and sound! Next up, a new collection …. I’ve been thinking a lot recently about what I would like to add to this blog. Let’s face it, the blog has been around for ages, but it has been under utilised. If I’m being honest (which I try to be) the main aim of the posts and the blog in general is to draw visitors to my store (both here and here [see previous post on shop fairness]) and to give an overview of me, the artist, maker and Person (yes a capital P). One of the ‘things’ I think will help readers to see how I work and how I tick generally is to review the things I use daily in my working life, hence the book review I am about to give you. When I was in my second year at Uni, I decided on what my area of speciality was going to be. We had a couple of options, glass, ceramics, metal work or mixed media. I felt more an draw to working metal (although it was a close call with ceramics) so that is where I headed. One of the first recommendations I received was to buy The Complete Metalsmith by Tim McCreight. I have to admit to humming and ahhing about buying it (I was a student …. ) but the second I did get my hands on a copy I understood what everyone was talking about. The explanations are clear, there are tutorials to complete certain techniques along with technical drawings and diagrams. There is lots of other useful information too, such as copyright basics, metal melting points … there are even instructions on how to build your own portable workstation. All in all a book I can heartily recommend. I used it through Uni and have continued to use it since, whether to teach myself a new technique or simply as a reference.